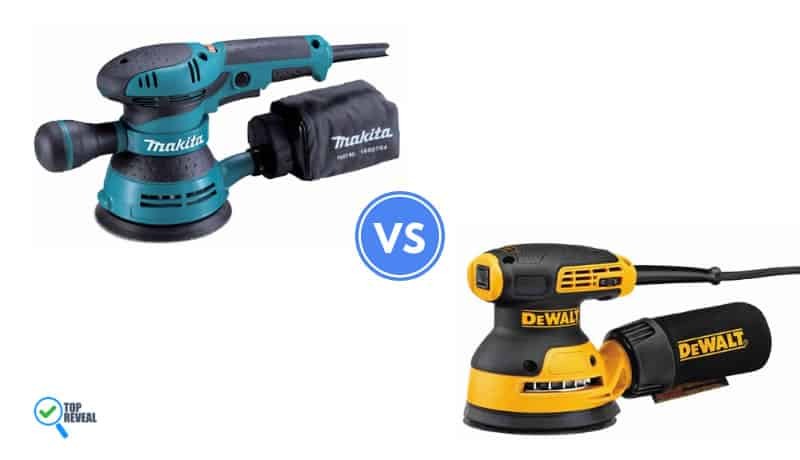 Makita BO5041K VS DEWALT DWE6423K Comparison Guide: Which one is Better? Whether you’re a seasoned woodworker or an amateur do it yourselfer, having the right tools can go a long way towards making your work go smoothly. If you have never heard of an orbital sander before then you are going to want to keep reading to find out all of the ways this ingenious machine can improve your projects and make life easier. Similar to a belt sander in its quick, aggressive approach to woodwork, it has a wider range of motion, so there is virtually no chance of damaging your surfaces. To highlight this tool’s awesome features, today we will be taking a look at two of its leading models: Makita BO5041K versus DEWALT DWE6421K! The Makita BO5041K is a compact and versatile unit that delivers the finesse all woodworkers crave. It’s also loaded with features to increase efficiency and style, which we will take a look at now. Speed Control: Most orbital sanders actually are only capable of operating at one continuous speed, so users that crave a little bit more versatility will really appreciate this feature. The Makita ranges from 4000-12000 OPM which allows you to take a customized approach to each job. Comfortable: The Makita also features an ergonomic grip that will help reduce the aches and pains that can arise throughout the course of long hours at work on the job. Adjustable: The handle on the Makita is adjustable, which will help give you access to ordinarily hard to reach corners and curves. Swirl Free: This model rotates in a way that eliminates the swirl marks often associated with sanders, which will keep your work looking all the better without any increased effort on your part. 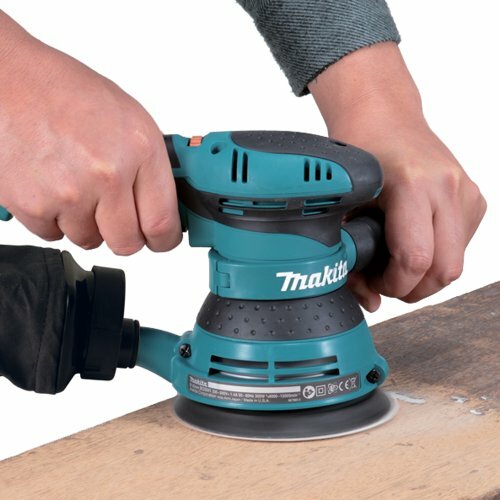 Built to Last: The Makita is a durable unit, built to last with an oversized sealed ball bearing construction that will ensure this orbital sander has a place in your tool collection for many years to come. 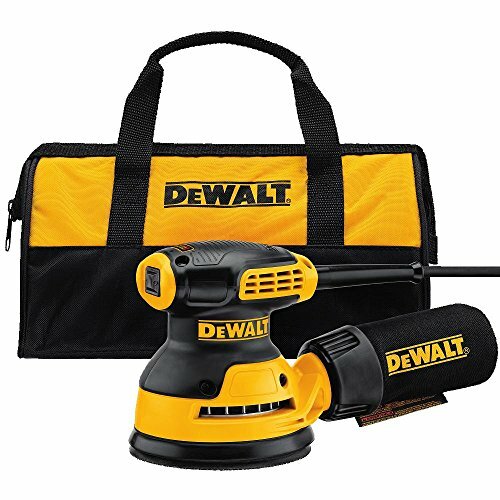 DeWalt has a well-earned reputation for making reliable tools, and this orbital sander will only serve to reinforce it. Made to last, and loaded with features, the DEWALT Dwe6421K is certainly worth taking a look at. Dust Sealed: The DEWALT features a high-grade seal that keeps dust out of the inner workings of your tool so that it lasts longer. Reduced Vibration: This model also features a rubber seal that will help reduce vibration, freeing you up to do your best possible work. Vacuum Locking Dust Bag: The innovative vacuum dust collection system featured on this model will keep your workspace clear to minimize clean up, and make your job a little easier. Compact: The smaller design featured on this unit will allow you to get up close and personal to your work for more refined results. High Powered: The 3.0 amp motor doesn’t allow you to adjust speeds like the Makita, but it does spin at a powerful 12000 OPM for great results. Users will find that on the surface, the DeWalt and the Makita have a lot in common. Both are compact units that operate on high-powered motors, and both collect dust through innovative vacuum technology to keep your workspace clean. Either unit will provide high-quality results for beginners and veterans alike, but since every consumer has different needs, it is pertinent to also consider the ways in which they are different, to ensure you make the decision that is best for you. Now that you are aware of what each unit has to offer, let’s take a look at the two products side by side to ensure that you pick the one that is best for you. Speed Control: As mentioned above, the Makita is one of few orbital sanders to feature an adjustable speed option, ranging from 4000-12000 OPM. It’s true that you may not always find yourself needing that much versatility, but for the occasions in which you do, the option will certainly be appreciated, and with a maximum 12000 OPM, the Makita can still be just as powerful as the DeWalt if you want it to be. Stability: The Dewalt, on the other hand, features a vibration reducing rubber seal that will keep your hand steady as you work, for more control and versatility. It doesn’t matter if you are a beginner, or an experienced woodworker: either way you will find yourself appreciating the extra help. 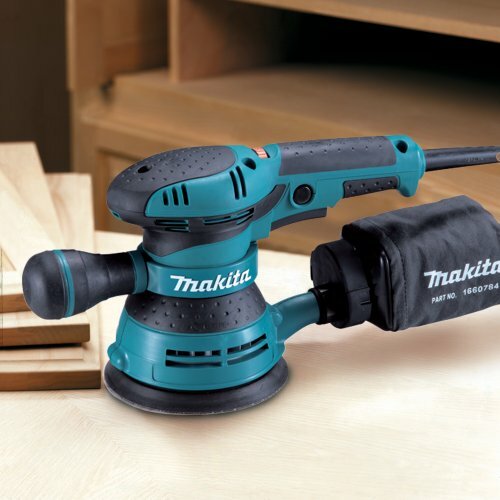 Ergonomic: The Makita is designed with comfort in mind, which is a great feature for those that work long hours. The ergonomic grip will also benefit users that suffer from arthritis or other conditions that result in hand pain. Adjustable: The adjustable handle featured on the Makita also makes it a little bit more versatile than the Dewalt, especially when it comes to working with hard to reach angles or corners. Price: Of course, price can fluctuate, but generally speaking, the DeWalt model is usually available for a good deal less than the Makita. 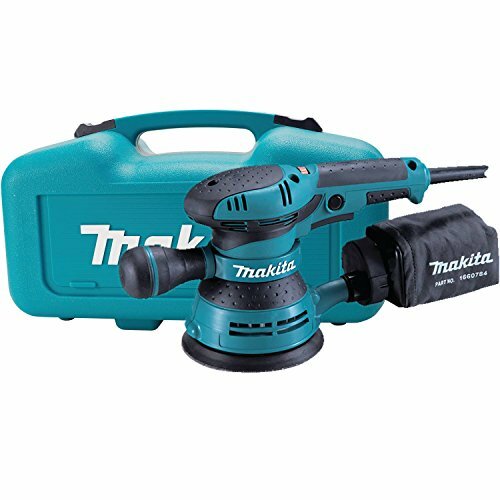 While it is true that the Makita unit has a few more features, many users may be willing to forgo them to take advantage of the great bargain that the DeWalt unit offers. Ultimately, the DeWalt DWE6423K and the Makita BO5041K are both excellent models that provide a wide variety of features. Either would make an excellent addition to your set of tools. At the end of the day, only you can decide which unit is best for your needs. 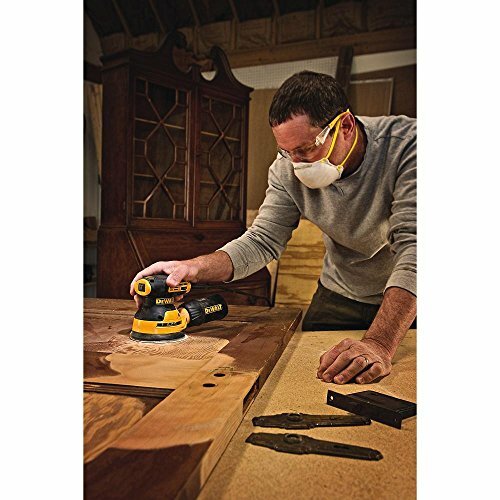 You shall take advantage of the Makita’s comfortable design, and versatility, or the DeWalt’s terrific bargain, you can rest assured that you’re picking up a great tool, perfect for any sanding job. Whether you are a dedicated woodworker, or just someone toying with the idea of doing it yourself, the right tools will make any job go smoother, so pick one that will deliver the quality results you deserve.